Program from the May 19, 2013 concert! On November 1, 1964, at the end of a twelve-year building project, Brecksville United Methodist Church consecrated its current Sanctuary. 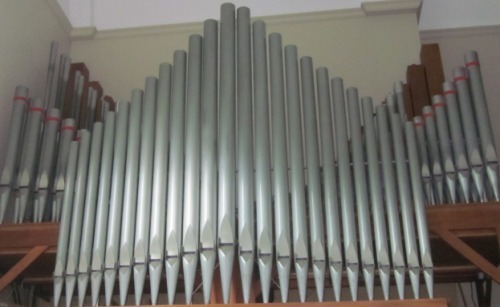 The following month, after more than a year of research, the Organ Committee proposed the purchase of a new Casavant pipe organ to the Trustees. 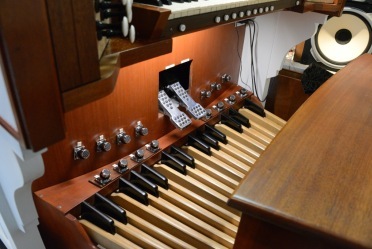 Space and budget constraints dictated that the new organ favor a balanced ensemble sound. It omitted specialized voices in the belief that classic specifications would ensure a fresh, clear and contemporary sound for many years. The installation was completed in time for Christmas 1966 at a cost of $30,000. Flash forward to 2012. Casavant is still world-renowned for building some of the finest pipe organs in places as far away as China. Visit their website: www.casavant.ca for a tour of the factory and pictures of recent projects. 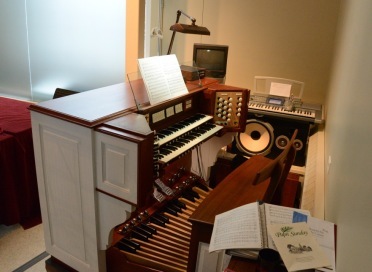 According to the Casavant firm, the replacement cost of our organ is now over $500,000. Over the years we have made additions to the organ. In 1974, to complete the initial organ design, we added a Gemshorn stop. In the 1980’s eighteen-year-old Chris Toth joined the staff for the first time and oversaw expansion of the instrument, adding a new Oboe stop and making the existing Trumpet stop available to the organist on both keyboards and pedal. In 2012, a project was undertaken to replace the original electrical system with a new, digital system. 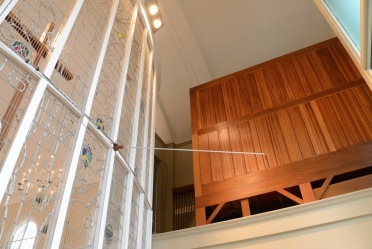 At the same time, the chimes were replaced and a zimbelstern was added. 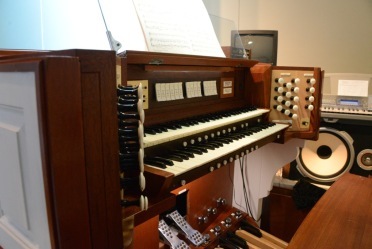 The organ console was also made movable for the first time. Casavant Frères Ltée. (1966, Opus 2904). 2012 console rebuild, chimes and zimbelstern by Rick Nelson, Nelson Restoration, Cleveland, OH.